Lieut - Colonel: Farrell, E.F.J.J. Lieutenants: Farrell, J.A.J - Butler, J.D. - O'Morchoe, K.G. - Henry, W.A.D. - Barry, G.H. - Metge, R.C. 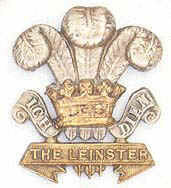 Second- Lieutenants: Leathley, F. - O'Morchoe A.D. MacM - St. Leger, St.J. R - Barry, G.H. - Cairnes, W.J. - Farrell, G.E. - Corballis, J.C. - Cormac-Walshe, H. - Jones, I.M. - Jones, G.T.H. - Jones, F.T.M. - Ronan, J.